Flipkart’s ‘The Big Freedom Sale’ has begun and there are massive discounts on some phones including the iPhone 6, iPhone 7, Google Pixel XL. Additionally, Xiaomi’s Redmi Note 4 will be listed for 72 hours during this sale. 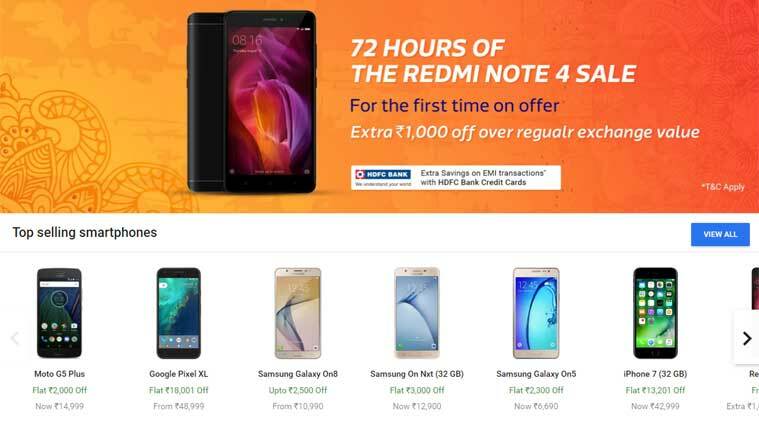 Flipkart is also offering some extra discount if you exchange another smartphone for Redmi Note 4. Here’s a look at the top deals and which ones really stand out. Apple iPhone 6 is priced at Rs 23,999 during the sale, down from the original price of Rs 29,500. The phone comes with only 32GB of storage space, and this is not expandable. Apple iPhone 6 will support iOS 11 when the OS rolls out, but remember this will soon be a three-year-old iPhone and comes with an 8MP rear camera and 1.2MP front camera. The rear camera is still one of the best in the business, but if you’re a selfie fan you might not find this as the most appealing option. Still this is one of way of getting an iPhone with a 4.7-inch display without paying more than Rs 25,000.